A modern dental crown represents the perfect pairing of function and beauty. Designed to protect a weak, damaged or misshapen tooth, a porcelain crown looks real in color and shape, and more importantly, avoids extraction. At Marx Family Dental of Gladstone, MO, our doctors use dental crowns often and with great success. Learn more by reading some frequently asked questions regarding these reliable restorations. 1. What is a dental crown? Restorations used by dentists for generations, dental crowns are tooth-shaped jackets of realistic porcelain. 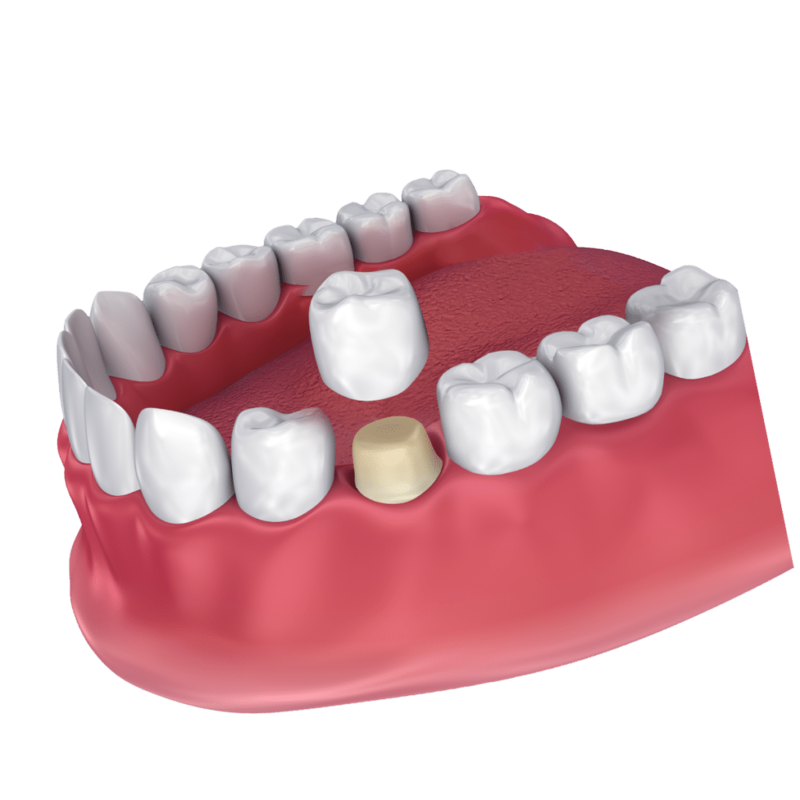 They envelop the above-the-gums portion of a tooth minus the damaged, decayed or oddly shaped portions. Crowns confer natural beauty, strength and oral function. 2. Who can get a dental crown? These tooth-shaped caps remake teeth which have suffered traumatic injury (deep cracks and chips), have dark stains which do not respond to professional whitening processes, are abscessed or severely decayed or have been saved by root canal therapy. Crowns also attached fixed bridgework to adjoining natural teeth and top off dental implants, the modern tooth replacements of choice. 3. Is the crown process complicated? In the hands of our doctors and their team, the crown treatment goes smoothly; however, it does entail several steps. One is an examination with X-rays. Another is enamel reshaping and oral impressions (either digital or traditional tray and putty). After these preliminaries, your crown is created at an area lab. The technician follows the dentist’s instructions exactly, rendering a customized crown that is perfectly shaped and colored to match your tooth and the rest of your smile. 4. How long do crowns last? Crowns can last for years if patients keep them clean, particularly at the margins between the tooth and gums. Also, people should avoid excessive wear through nail biting, biting and chewing hard foods or teeth clenching (bruxism). Six-month check-ups and cleanings at Marx Family Dental are essential to check the condition of crowns and surrounding tissues. 5. What happens if a crown falls off or fractures? This is an infrequent problem; however, it can happen. If it does, save the crown (or crown fragments), and bring it to the office. Our Doctors will inspect it and put it back in place (with bonding cement) or repair it with tooth-colored composite resin. Your dentist will decide what would serve your tooth best for the long-term. Nothing says attractive and healthy quite like a complete smile. If you have a failing or otherwise compromised tooth, visit Marx Family Dental serving The Kansas City area. Call the office today to set-up a consultation: (816) 452-2000. What Foods Are Safe After Getting Veneers?